This new series will look at a range of jobs which may be suitable for people with Asperger's Syndrome and will discuss the positive qualities they could bring and the challenges they could face. 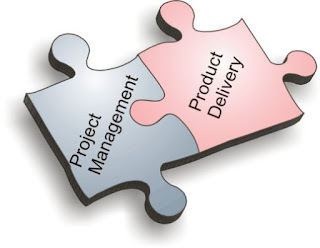 Project Management is a field which requires both good time management and meticulous attention to detail. These are qualities that some people with Asperger's syndrome possess in abundance. Of course, if you have an ADHD co-condition, then project management is not going to be a suitable career choice because good organisation is critical. There are many different types of project management roles and many of these are in common "special interest areas" such as computing, engineering, transport, law and even simply in documentation such as standards and compliance. Provided that you join a project management team in an area close to your special interests, you should have no difficulty maintaining attention to detail. Most project management roles will require tertiary education (a degree) and a bit of experience in the field, so it's not really an ideal first job unless you can find an internship. Project management often involves high-level thinking and the ability to see both detail and the big picture at the same time. This is an area where people with Asperger's syndrome have a distinct advantage. There is also quite a bit of logic and procedure in project management - and charting too. The hardest part of project management for people with Asperger's syndrome tends to be on the social front. It's quite common for project managers to need to attend lots of meetings and to deal with a lot of people. Don't give up though because depending upon the types of projects you're engaged on, you may find that someone else in the team is more willing to take on that part of the role or that much of the project can be accomplished via other means of communication such as email and collaborative writing solutions. Project management is not for everyone but it is a role in which many people with Asperger's syndrome can excel. My son who has Aspergers and ADD is majoring in Information Technology in school. With his ADD, I wouldn't have thought of project management for him ever but this past year I've seen maturity and changes in him. I could definitely see him in a project management role now whereas I never could before so who knows. He constantly amazes me! I have the ADD side but have found a successful carreer in accounting/auditing. Most of the time I am left alone to do my work. Pays well. Some travel. Lovely to see you back with new and interesting posts! Project Management sounds like a good option for those with attention problems because you can take on short term projects or longterm without being too 'locked in'. I enjoy the work for that reason alone. Project managers need to have social skills. You are constantly checking in with people, following up with people, going to meetings, etc. I could see an Aspie working in IT and having a project in their narrow interest where people send them reports and they pull it together to report to their manager. Quality control? Now there's a job an Aspie could love. Detail and SOP writing. And there's not enough of them. But in my manufacturing company I would have NEVER hired an Aspie to be a program manager. I have Aspergers with ADHD co-morbid. I worked as a Core Office Tester cross-platform for Microsoft for nearly five years and often tested in three to four languages simultaneously on Mac and PC. I resigned from the company due to being harassed by a co-worker and being put through hell when my marriage fell apart and my (former) husband left me in debt up to my ears. To be honest, the work was not as creative as I wanted and needed. At companies where I'd worked in the past, I'd been able to wear many different hats. Microsoft limited me to what seemed to me to be the same dull routine day after long day. The DISTRACTIONS involved people and having a line manager who did not understand the reason I needed and wanted to keep my door closed. I never admitted having any form of ASD during my career. I only admitted to having ADHD, due to the fact that I was taking medication that was evidently used for this condition. The medication and my medical appointments were paid by company insurance, so it was pointless to hide the obvious. I was considered "very shy" and "antisocial", which probably cost me a bit in terms of raises and stock options. I'd come to Microsoft with at least fifteen years prior experience in Quality Assurance, Database Analysis and design, CGI, Desktop Publishing, Technical Writing and Editing experience. I am chaotic in my ENVIRONMENT -- not in my WORK. Another career not many people think about for aspies is OT. Yes, it may seem this is out of left field. But, from a big picture standpoint, it makes sense given an aspie has what it takes to succeed. After all, acceptance is a big thing that a lot of aspies and their caregivers like- well... OT has it! Is it possible to have a solid future? Absolutely! I am an aspie who is a licensed OT now and am working hard to make a name for myself in the field. Lastly, there are skills that are really helpful to manage him/herself. Considering there aren't too many professional services for adults, learning the ability to manage him/herself is a big plus, especially sensory wise! Yet again, it is not for every aspie. My son's special interest is in wildlife, particularly herpetology. I have absolutely no idea what sort of job he'll be able to do since there aren't a lot jobs of that nature available. To anonymous, could maybe he hep out at a butterfly conservatory or better yet could u get a grant to start a community gardens conservatory -small one that is? Just a thought.... bugs r so important to gardens, I worked in a plant nursery, it was essential to know earth worms madethe soil better, marigolds wards off most bad bugs, and that praying mantis and lady bugs were good to buy and put in gardens to eat a big array of bad bugs... he could grow these b7gs and sell them to gardeners... I buy them every year and they workmbetter than pestcides...cept permytherine is good it is a marigold derivitive, u can use it near live stock even. Hi,I am happy to your all good post.Successful Project Management Experience from good practice. I am an aspie and also a superstar project manager. And I approve this message. I think it depends though. Part of my asperger's is to be precise and organized. My son, on the other hand, also an aspie is neither precise or organized. The ability to conceptualize large complex systems is a plus, smarts is a plus, the capacity to store large amounts of 'useless' information on obscure topics is also a plus (especially in IT). To Anonymous's point, being a PM does require a bit of socialization and I often have to be the motivator of groups of people, which does not come easily or naturally to me. I am lucky that my co-workers understand my 'quirks' and see past them to recognize the value in my intelligence and obscene organizational skills. Rightly said friend the above points you have shared with me tends to lead the perfect project management.Your post is so interesting that i never stop my self to share it with one of my friend who is being a project manger of an production house. I agree that project management would fit aspergers types. The social interaction is not so much an issue if the interactions are purpose driven. I have trouble bringing up something like "who took my pen" not "why do we have four offices doing the same thing". I'm a recently diagnosed Aspie, and have been working very successfully as a Project Manager on a self-employed basis for more than 10 years. I find the social/stakeholder management part to be the most challenging, but forcing myself to do that part of the job myself does help me to adapt (albeit slowly!) to dealing with neurotypicals. Working as a woman in an entirely male (technical) environment helps, I think. I've always identified more closely to what I consider to be more 'male' thought patterns and behaviours. I have started to disclose to some people I work with, but mostly people just think I'm quirky. Project management appeals to my need for order and logic.